1) Hydrocarbon polymer comprising two alkoxysilane end groups of formula (I): in which : - F1 is: (R'0)3-tRtSi-(CH2)gi- and F2 is: -(CH2)di-SiRt(OR')3-t; or else F1 is: (R'O)3-tRtSi-R"-OOC-(CH2)g2- and F2 is: -(CH2)d2-COO-R"-SiRt(OR')3-t; where t is an integer equal to 0, 1 or 2; g1 and d1 are an integer equal to 1, 2 or 3; g2 and d2 are an integer equal to 0, 1, 2 or 3; R and R' represent a linear alkyl radical; R" represents a linear alkylene radical; - R1 to R12 represent a hydrogen atom or an alkyl radical comprising from 1 to 14 carbon atoms; - x and y are integers such that the sum x + y is within a range extending from 0 to 2; n1 and n2 are an integer or zero and m is an integer greater than or equal to 0; p1 and p2 are an integer or zero, the sum p1 + p2 of which is not zero and satisfies the equation: p1 + p2 = q x (z +1) in which q is an integer greater than 0 and z is an integer equal to 1 or 2. 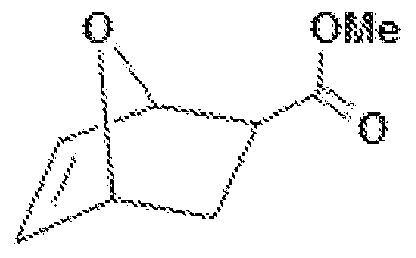 2) Process for preparing this polymer from cyclooctadiene or cyclododecatriene. 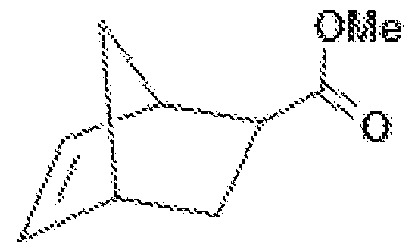 3) Process for preparing this polymer from a polybutadiene with a high content of cis-1,4 units. 4) Adhesive composition comprising said polymer and from 0.01 to 3% by weight of a crosslinking catalyst. The present invention relates to hydrocarbon polymers having two end groups alkoxysilanes, their preparation and their use. modified polymers Silane (MS or MS Polymers Polymers for "Silane Modified Polymers" in English) are known in the field of adhesives. They are used for adhesive bonding of a variety of objects (or substrates). Thus, the MS polymer-based compositions are applied in combination with a catalyst in the form of an adhesive layer on at least one of two surfaces belonging to two substrates to be assembled and intended to be placed in contact with each other to assemble. The MS polymer reacts by crosslinking in the presence of water (from the environment and / or substrates), which leads to the formation of a cohesive adhesive seal ensuring the strength of the assembly of the two substrates. This adhesive joint is mainly composed of the crosslinked polymer MS in a three-dimensional network formed by the polymer chains interconnected by siloxane bonds. The crosslinking can take place before or after contacting of the two substrates and the application, if necessary, a pressure at their tangency surface. However, the MS polymers should most often be implemented in the form of adhesive compositions comprising other components such as tackifying resins, one or more additives to reinforcing effect, for example at least one mineral filler, or one or more additives to improve the setting time (that is to say the time at which the crosslinking can be considered completed) or other characteristics such as the rheology or the mechanical properties (elongation, modulus .. .). CA 2242060 patent application discloses the possibility of using an adhesive seal type composition polymer base containing at least one cycloolefin, a catalyst for metathesis polymerization chain opening, a filler and a compound that comprises that one silane. It is also known to prepare telechelic polymers having a repeating unit derived from cyclic monomer such as, for example norbornene. 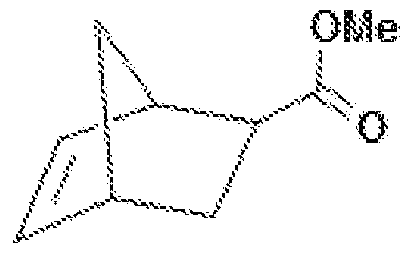 Thus, patent application WO 01/04173 describes the catalytic copolymerization by ring-opening metathesis branched cycloolefins having the same cycloolefin. Said cycloolefin is preferably norbornene. 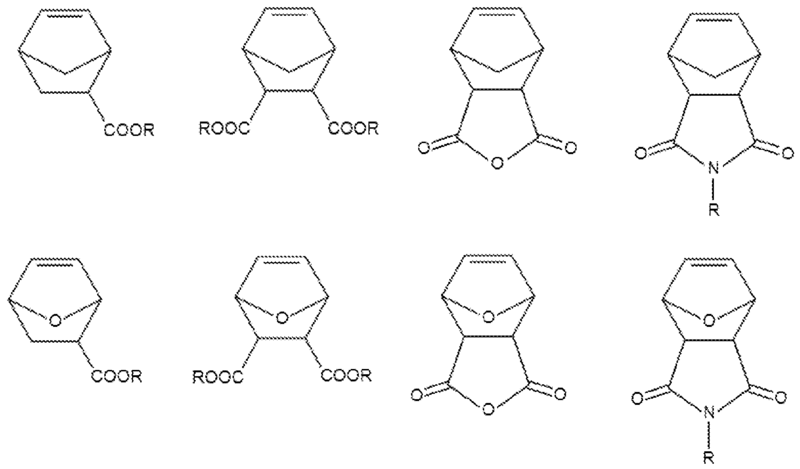 In addition, the patent application WO 201 1/038 057 discloses the ring-opening metathesis polymerisation of norbornene dicarboxylic anhydrides and optionally dicarboxylic anhydrides of 7-oxanorbornène. Finally, patent application GB 2238791 discloses a polymerization process of 7-oxanorbornène by ring-opening metathesis polymerisation. The present invention aims to provide novel polymers with two terminal groups alkoxysilanes. These polymers can lead, after crosslinking, to the formation of an adhesive seal having improved mechanical properties, especially a higher cohesion compared with those of the prior art. - z is an integer from 1 to 5; and - n1, n2, m, p1 and p2 being further such that the average molecular mass Mn of the polymer of formula (I) is within a range from 400 to 100 000 g / mol and its polydispersity index is within a range from 1, 0 to 3.0. The various groups, radicals and letters that are included in the formula (I) which are defined above, retain throughout the present text, and, in the absence of contrary indication, the same definition. Each of the double bonds of the polymer of formula (I) is geometrically oriented cis or trans, preferably is cis orientation. 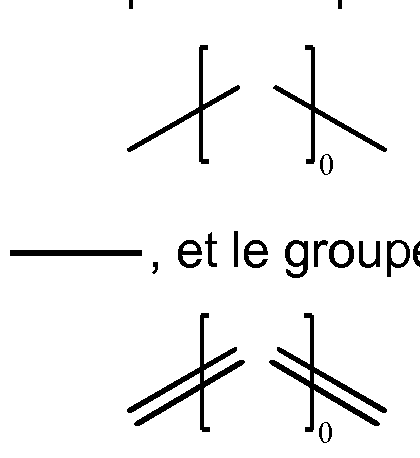 Geometric isomers of the polymer of formula (I) are generally present in varying proportions, with usually a majority of double bonds oriented cis (Z), and preferably all oriented cis (Z). It is also possible according to the invention to obtain a single geometric isomers, depending on the reaction conditions and particularly depending on the nature of the catalyst used. - average molecular weight Mn is within a range from 1000 to 50 000 g / mol, and the polydispersity index is within a range from 1, 4 2.0. - R 13 represents a radical -CH2- or an oxygen atom. - a third repeating unit, optional repeated m times. It is understood that the distribution of said patterns onto said main chain is statistical, and the polymer of formula (I) is thus a random polymer. As shown above, F 1 and F 2 end groups are generally symmetrical with respect to the main chain, that is to say they substantially correspond with the exception of g1 and g2 indexes and d1 and d2. By "heterocycle" means a hydrocarbon ring which may include an atom other than carbon in the chain of the ring, such as for example oxygen, sulfur or nitrogen. By "terminal moiety" means a group located at one of two ends of the main polymer chain, which is constituted by one or more repeating units. The polydispersity index (also referred to in English polydispersity index or PDI) is defined as the ratio Mw / Mn, that is to say the ratio of the weight average molecular weight to number average molecular weight of the polymer. In the present text, the two average molecular weights Mn and Mw are measured by steric exclusion chromatography (SEC or acronym of "Size Exclusion Chromatography" in English) which is also designated by the terms of gel permeation chromatography (or by the acronym corresponding GPC). The calibration used is usually a calibration PEG (polyethylene glycol) or PS (polystyrene), preferably PS. If t = 0, then there is no R group in the groups F 1 and F 2 of the formula (I): (R'O) 3-tRtSi- becomes (R'O) 3 Si-. If g2 = 0 or d2 = 0, then there is no radical - (CH) - in the groups F 1 and F 2 of the formula (I). 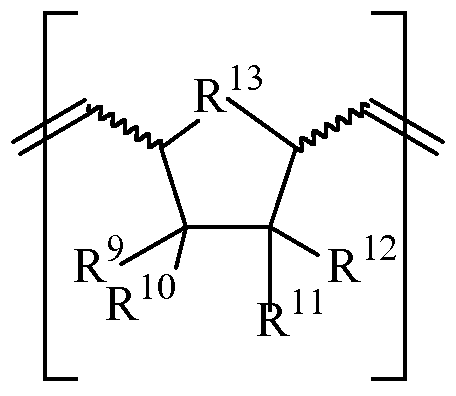 In other words, the radical: - (CH2) g 2- or- (CH2) d2 is replaced by a single bond. The polymers of formula (I) according to the invention are particularly uniform and stable temperature. They are preferably packaged and stored away from moisture. They can form, after the presence of water crosslinking reaction and a catalyst, an adhesive joint resulting from the formation of siloxane bonds Si-O-Si bonds between the polymer chains. Water implemented in the crosslinking reaction is the water from the environment and / or water introduced by at least one substrate, generally atmospheric moisture, for example corresponding to a relative humidity (called also humidity) usually within a range of 25 to 65%. The formed adhesive joint exhibits high cohesion values ​​in particular greater than 2 MPa. Such coherency values ​​enable use of said polymer as an adhesive, for example as a seal on a conventional substrate (concrete, glass, marble), in the building field, or for bonding glass in the automobile industry and shipbuilding. This potential for polymers of formula (I) according to the invention to crosslink in the presence of moisture is particularly advantageous. The polymers of formula (I) according to the invention are solid or liquid at room temperature (ie about 20 ° C). is in the range of from 30 to 70% and, more preferably, is about 50%. According to alternative 4 of the preferred embodiment, the polymer of formula (I) is generally in the form of viscous liquid, generally having a Brookfield viscosity at 23 ° C of between 1 mPas and 500 Pa.s, preferably between 1 to 150 Pa.s and more preferably between 1 and 50 Pa.s. It is advantageously easy to implement and can be combined with an additional component such as a tackifying resin or a filler, to form an adhesive composition. When the non-crosslinked polymer according to the invention is solid at room temperature, it is generally thermoplastic (in an anhydrous medium), that is to say deformable and heat fusible (ie at a higher than the ambient temperature). It can therefore be used as hot melt and hot-applied adhesive on the substrate interface to be joined at their tangency surface. By solidification at room temperature, an adhesive joint interconnecting the substrates is immediately created, while giving the adhesive time advantageous properties of reduced outlet. wherein x, y, n1, n2, p1, p2, F 1, F 2, R 1, R 2, R 3, R 4, R 5, R 6, R 7 and R £ meanings given above. More preferably, x is 1 and y is equal to 1 The formula (II) illustrates the case where the main chain of the polymer of formula (I) comprises only two repeating units, repeating n1 + n2 and p1 + respectively p2 times. wherein m, p1, p2 F 1, F 2, R 9, R 10, R 11, R 12 and R 13 have the meanings given above. (I) comprises only two repeating units, respectively repeated (p1 + p2) times and m times. (IV) wherein p1, p2, F 1, F 2 have the meanings given above. The formulas (IV) illustrates the case where the main chain of the polymer of formula (I) comprises a single repeating pattern, repeated p1 + p2 once. (R'O) 3-tRtSi-R "-OOC- (CH 2) G2- and F 2 is: - (CH 2) d2-COO-R" -SiRt (OR ') 3-t, then preferably g2 = 0 or d2 = 0, and, still more preferably: g2 = d2 = 0. in the latter case, particularly advantageously F 1 and F 2 are each: -COO- (CH2) 3-Si (OCH3) 3.
said polymerization reaction being further implementation for a period ranging from 2-24 hours and at a temperature in a range of 20 to 60 ° C.
In the definition of the preparation process given above, it is understood that the indefinite article "a", as it relates to a reagent or catalyst used or the product formed, should s' interpreted to mean "at least one", that is to say "one or more". The polymerization by ring-opening metathesis reaction is a well-known to those skilled in the art, which is carried out here in the presence of a CTA particular compound of formula (B). The duration and temperature of the reaction generally depend on the conditions of implementation including the nature of the solvent used, and in particular the catalyst charge rate. The skilled person is able to adapt to the circumstances. is within a range from 0.0010 to 1, 0. Such a catalyst is usually a commercial product. 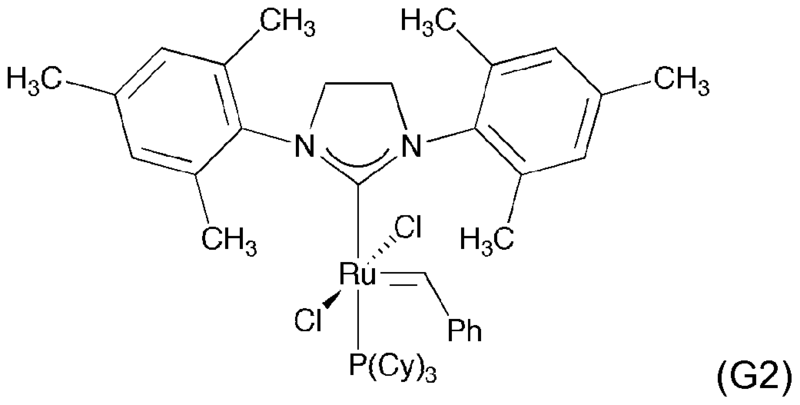 The metathesis catalyst is usually a transition metal catalyst including a catalyst comprising ruthenium usually in complex form (s) of ruthenium such as ruthenium carbene complex. 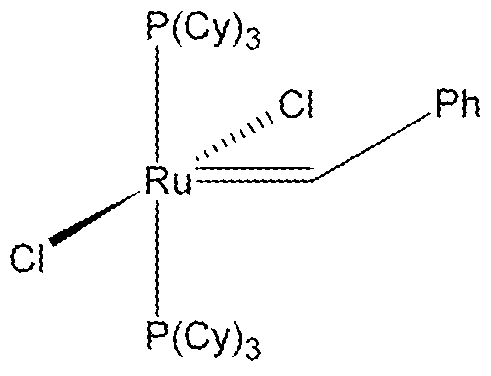 By Grubbs catalyst is generally defined according to the invention a Grubbs catalyst 1 st or 2 nd generation, but also any other Grubbs catalyst (such as ruthenium carbene) or Hoveyda-Grubbs accessible to the skilled person , such as for example the catalysts of Grubbs substituted disclosed in U.S. patent 5,849,851. 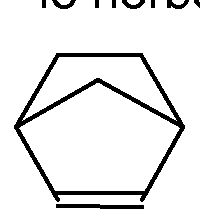 (G1) wherein Ph is phenyl, Cy is cyclohexyl, and the group P (Cy) 3 is tricyclohexylphosphine group. 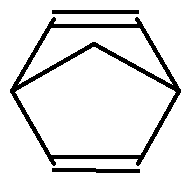 The IUPAC name of this compound is: benzylidene-bis (tricyclohexylphosphine) dichlororuthenium (of CAS 172222-30-9 number). Such a catalyst is available especially from Aldrich. wherein Ph is phenyl and Cy is cyclohexyl. wherein R, R ', t, g1, d1 and have the meanings given above. This compound can be manufactured according to the procedure described in WO 01/83097 by cross-metathesis of unsaturated mono-compounds H2C = CH- (CH2) p - SiR t (OR ') 3-t. According to this embodiment, preferably g1 = 1 or d1 = 1, and, even more preferably: g1 = d1 = 1. This compound, which is chilled, 4-bis (trimethoxysilyl) but-2-ene is referred to in the remainder of this text CTA 1.
wherein R, R ', R ", t, g2, d2 and have the meanings given above. This compound can be synthesized by esterification of a CIC type of acid dichloride (= O) (CH 2) g 2CH = CH (CH 2) D2C (= O) CI (itself prepared starting from the commercial carboxylic diacid matching) with two moles of hydroxysilane. According to this embodiment, preferably g2 = 0 or d2 = 0, and, still more preferably: g2 = d2 = 0. 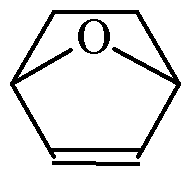 According to an even more advantageous variant, t is 0 and R "is a n-propylene radical: - (CH2) 3-. This compound, which is bis (propyltriméthoxysilyl) fumarate, is referred to in the remainder of this text CTA 2. According to a particularly preferred variant of the invention, the CTA of the formula (B) is selected from the group consisting of trans-1, 4-bis (trimethoxysilyl) but-2-ene (CTA1) and bis (propyltriméthoxysilyl) fumarate (CTA2). The cyclic compound of formula (C) generally comprises from 8 to 32 carbon atoms. These two compounds are commercially available from companies Evonik Degussa and Arkema France. The compound of formula (D) generally comprises from 6 to 30, preferably 6 to 22, carbon atoms. - the integers x and y are within a range from 0 to 2, the sum x + y being in the range of from 0 to 2. - not more than one of the groups selected from (R 1, R 2, R 3, R 4, R 5, R 6, R 7 and R 8) a is Ci-Ce alkyl and all other represent a hydrogen atom . - cycloheptene, cyclooctene, cyclononene, cyclodecene the cycloundécène and cyclododecene. wherein R is an alkyl radical comprising from 1 to 22 carbon atoms, preferably 1 to 14; R is for example the n-hexyl radical. 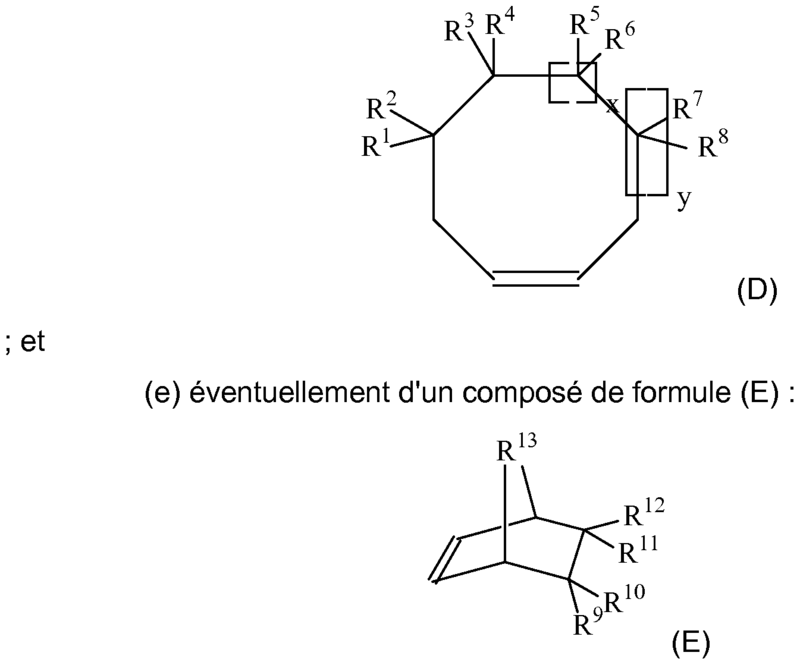 The compounds corresponding to the last two structural formulas above may be prepared by a process generalizing the reaction scheme of Example 8, in particular by carrying out the alkylation of intermediate 2 with a suitable Grignard reagent. These compounds are especially preferred cyclooctene and 5-n-hexyl-cyclooctene. The compound of formula (E) generally comprises from 6 to 30, preferably 6 to 22, carbon atoms. - the radical R °, -NR ° included in the group which is one of the meanings of R 13 is a linear radical containing from 1 to 14 carbon atoms. wherein R is as defined previously for compound of formula (D). 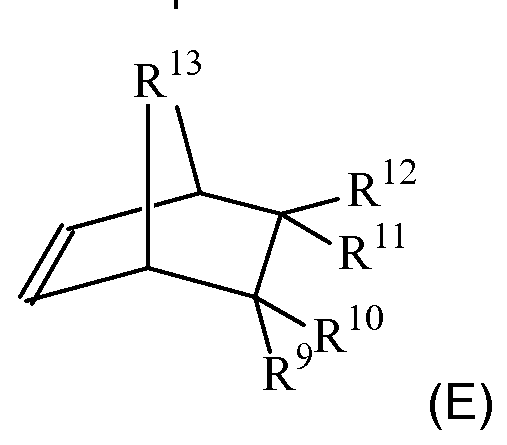 The compound of formula (E) may also be selected from the group consisting of the addition products (adducts or English) from the Diels-Alder reaction using cyclopentadiene or furan as starting material, as well as compounds norbornene derivatives such as norbornenes connected as described in WO 2001/04173 (such as: isobornyl carboxylate norbornene, phenyl norbornene carboxylate, carboxylate ethylhexyl norbornene carboxylate phenoxyethyl norbornene and norbornene dicarboximide alkyl, the alkyl having the usually of 3 to 8 carbon atoms) and connected norbornenes such as described in WO 201 1/038057 (dicarboxylic anhydrides norbornene dicarboxylic anhydrides and optionally 7-oxanorbornène). The step of ring-opening metathesis polymerisation (ROMP or for "Ring-Opening Metathesis Polymerization" in English) is carried out usually in the presence of at least one solvent, generally selected from the group consisting of solvents aqueous or organic typically used in polymerization reactions and which are inert under the conditions of polymerization, such as aromatic hydrocarbons, chlorinated hydrocarbons, ethers, aliphatic hydrocarbons, alcohols, water or mixtures thereof. 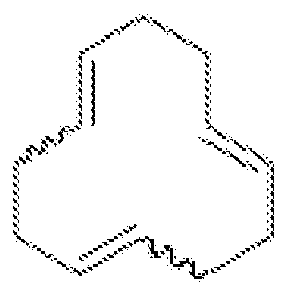 A preferred solvent is selected from the group consisting of benzene, toluene, para-xylene, methylene chloride, dichloroethane, dichlorobenzene, chlorobenzene, tetrahydrofuran, diethyl ether, pentane, hexane, heptane, a mixture of liquid isoparaffins (e.g., Isopar®), methanol, ethanol, water or mixtures thereof. Even more preferably, the solvent is selected from the group consisting of benzene, toluene, xylene, methylene chloride, 1, 2- dichloroethane, dichlorobenzene, chlorobenzene, tetrahydrofuran, diethyl ether, pentane, hexane, heptane, methanol, ethanol or mixtures thereof. 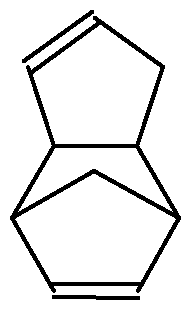 Even more preferably, the solvent is dichloromethane, 1, 2- dicholoroéthane, toluene, heptane, or a mixture of toluene and 1, 2- dichloroethane. The solubility of the polymer formed during the polymerization reaction depends generally and primarily the choice of solvent, the nature and proportion of comonomer and the number average molecular weight of the resulting polymer. It is also possible that the reaction be implemented without solvent. (Ii) a step of polymerizing said (co) cyclic oligobutadiène of formula (F) by ring opening in the presence of a metathesis catalyst, a transfer agent (CTA) of formula (B) as defined above for a period ranging from 2-24 hours and at a temperature in a range of 20 to 60 ° C.
This process allows the preparation of the polymer of formula (I) according to the invention from polybutadiene which is a first preferred material on an industrial scale, particularly because of its availability and its properties in terms of industrial hygiene and safety, such volatility. 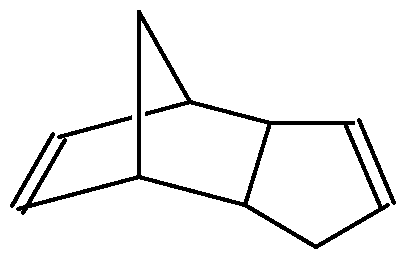 Thus, polybutadiene generally comprises in its chain the repeat units 3 above, hereinafter referred to generically as "unit derived from butadiene". 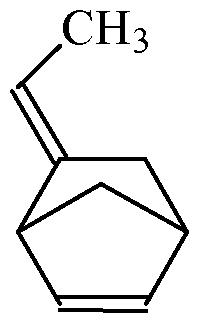 The molecular weight of the polybutadiene can range from 1000 to 250,000 g / mole. 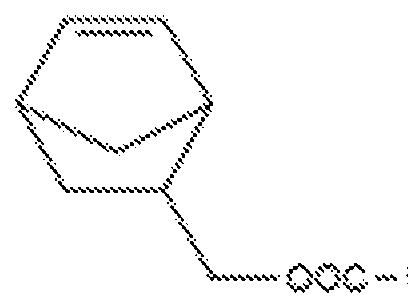 Preferably, the polybutadiene chain implemented in step (i) comprises less than 5 mol% of vinyl-one repeating unit, 2, said percentage being based on the total moles of constituent units of the chain, and even more preferably less than 2%. According to another variant, also preferably, the chain of polybutadiene implemented in step (i) comprises from 50 to 98 mol% of cis-1 units, and 4 to 48 mol% of trans-1 units, 4, said percentages being based on the total moles of constituent units of the chain. 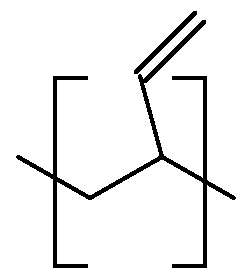 Such polybutadiene is often referred to as polybutadiene with high cis-1 pattern, 4 (in English "high cis polybutadiene") and is preferably in liquid form. 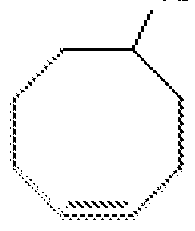 We can cite as an example, commercially available, the POLYVEST® 130 of Evonik company, which is a polybutadiene in which the percentage of cis-1 unit, 4 is about 77 mole%, the pattern of percentage trans- 1, 4 is about 22 mol%, and the percentage of vinyl-1 pattern 2 is about 1 mol%. Heating polybutadiene in step (i) causes a depolymerization reaction of the latter and intramolecular cyclization reactions, which generally lead to the formation of several (co) polybutadiene ring of formula (F), the formation and structure can be characterized by size exclusion chromatography techniques (or SEC). The distribution of units derived from butadiene (p3 repeated times), cyclooctene (repeated n3 times) and norbornene (repeated m 'times) in a (co) oligobutadiènecyclique of formula (F) is generally random. A domain average molecular weight of 162 to 2000 g / mol is preferred for the (co) oligobutadiènes ring of formula (F). The metathesis catalyst used in step (i) may be selected from the metathesis catalysts (a) described above for the P1 process. 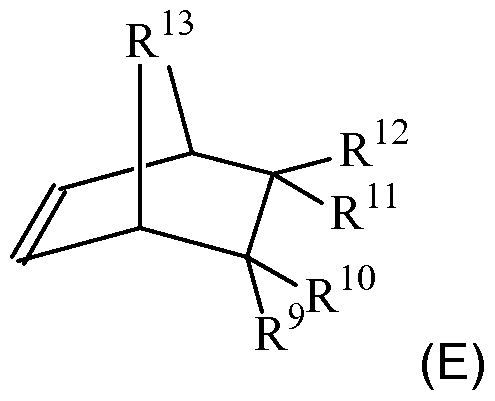 However, preferred is a Grubbs catalyst of formula (G2). The solvent used in step (i) is advantageously chosen from the solvents described above for the P1 process. The duration of the heating step (i) is adapted for obtaining a yield close to 100% relative to the molar amount of polybutadiene implementation, as well as other possible reagents; a period of from 1 hour to 8 hours, preferably 1 to 3 hours is generally suitable. 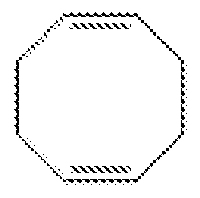 Step (ii) The (co) oligobutadiènes ring of formula (F) obtained at the end of step (i) are polymerised in accordance with step (ii), ring-opening in the presence of an agent transfer (CTA) of formula (B) as defined above. Even more preferably, the ratio r defined above is in the range 0.0020 to 0.3. The metathesis catalyst used in step (ii) may be selected from the metathesis catalysts (a) described above for the P1 process. A solvent may be used in said step, and in this case it is chosen from the solvents described above for the P1 process. The invention further relates to an adhesive composition comprising a polymer according to the invention and 0.01 to 3% by weight, preferably from 0.1 to 1% by weight, of a crosslinking catalyst. The polymer according to the invention is a polymer of formula (I), (II), (III) or (IV). - amines, such as 1, 8-diazabicyclo [5.4.0] undec-7-ene (DBU) and 1, 5- diazabicyclo [4.3.0] non-5-ene (DBN). May also be included in the composition according to the invention UV stabilizers such as amino or antioxidants. Antioxidants may include primary antioxidants that scavenge free radicals and are generally substituted phenols like Irganox ® 1010 from Ciba. The primary antioxidants may be used alone or in combination with other antioxidants such as phosphites like Irgafos ® 168 of Ciba. According to a particularly preferred embodiment, the adhesive composition of the invention is packaged in a sealed package to the air prior to its end use, so as to protect it from ambient moisture. Such a package may advantageously be formed of a multilayer sheet which typically comprises at least an aluminum layer and / or at least one layer of high density polyethylene. For example, the package is formed of a layer of polyethylene coated with aluminum foil. Such a package may in particular take the form of a cylindrical cartridge. - the effective contacting of the two substrates according to their tangency surface. The adhesive composition in liquid form is either the adhesive composition (naturally) liquid or the molten adhesive composition. The skilled person is able to proceed so that the adhesive composition used is in liquid form at the time of its use. Naturally, coating and contacting must be performed in a suitable time interval, as is well known in the art, that is to say before the adhesive layer applied to the substrate loses its ability to fix by gluing the substrate to another substrate. In general, the crosslinking of the polymer of the adhesive composition in the presence of the catalyst and water from the environment and / or of the water supplied by at least one of the substrates, begins to occur during the coating, and then continues to occur during the contacting step of the two substrates. In practice, the water usually comes from the relative humidity of the air. Suitable substrates are, e.g., inorganic substrates such as glass, ceramics, concrete, metals or alloys (such as aluminum alloys, steel, non-ferrous and galvanized metals); or organic substrates such as wood, plastics such as PVC, polycarbonate, PMMA, polyethylene, polypropylene, polyesters, epoxy resins; metal substrates and composites coated with paint (as in the automotive field). The following examples are given purely to illustrate the invention and should not be construed to limit its scope. 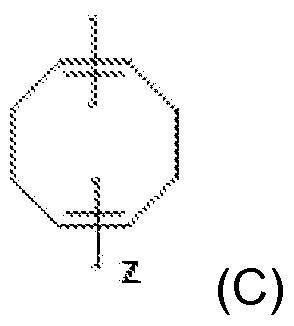 Examples 1 to 9 describe the preparation of polymers comprising two trimethoxysilyl end groups, by ring-opening metathesis polymerisation. 1, 5-cyclooctadiene (10.8 mmol) and dry CH2Cl2 (5 ml) were introduced into a flask of 20 ml in which was also placed a magnetic stirring bar coated with Teflon ®. The flask and contents are then placed under argon. The molar amount of unit derived from butadiene equivalent to the amount of COD introduced is 21, 6 mmol. CTA compound 1 (0.27 mmol) is then added with stirring to the flask by syringe. The ratio r of the reactants, as defined above, is equal to 21 divided by 0.27 mmol, 6 mmol or 0.0125. The flask is then immersed in an oil bath at 40 ° C and then one proceeds immediately to the addition, via cannula, the above-defined catalyst G2 (5.4 μιτιοΙ) dissolved in CH2Cl2 (2 ml ). The reaction mixture became very viscous in 10 minutes. The viscosity decreases then slowly during the following hours. After 8 hours from the addition of the catalyst, the product in the flask is extracted after evaporation of the solvent in vacuo. The product is then recovered in the form of colorless solid powder after precipitation in methanol, filtration and drying at 20 ° C under vacuum with a yield higher than 90%. 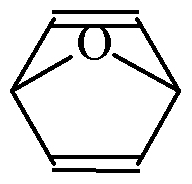 This structure is well covered by the formula (IV) defined above. The average molecular weight Mn, measured by NMR is 4600 g / mol. The index of polymoléculahté equal to the ratio Mw / Mn (measured by steric exclusion chromatography with polystyrene standard) is 1, 60. Example 1 is repeated by replacing the COD by 1, 5,9-cyclododecatriene (called CDT) which is commercially available, eg from Sigma Aldrich. The molar amount of unit derived from butadiene equivalent to the amount of CDT introduced is 32,4 mmol. The ratio r of the reactants, as defined above, is equal to 0.27 mmol divided by 32.4 mmol, 0.008.
which is also covered by the formula (IV) defined above. The average molecular weight Mn and polydispersity index are, respectively, 6,800 g / mol and 1, 80. 1 H NMR (CDCl, 500 MHz, 298 K): δ (ppm) repeating unit 2.10 (4H * n), 5.43 (2H * n), end group = 0.64 (4H, m, -CH2-CH2-S1- ), 1 .61 (4H, m, -CO-CH2-CH2-CH2-S1-), 4.35 (4H, m, -O-CH2-CH2-CH2-S1-), 3.57 (18H, s, -S1-O-CH3), 5.73 (1H, m, -CH = CH-CO-), 5.77 (1H, m, -CH = CH-CO-). 13 C NMR (CDCl, 100 MHz, 298 K): δ (ppm) repeating unit 27,41, 32,72, 131, 39, terminal group = 6.28 (-CH2-CH2-S1-), 23.17 (-CO -CH2-CH2-CH2-S1-), 50.77 (-S1-O-CH3), 68.10 (-CO-CH2-CH2-CH2-S1-), 1 19.89 (CH = CH CO-) , 135.16 (- CH = CH-CO-), 167.07 (-O-CO-). The average molecular weight Mn and polydispersity index are respectively, 6,900 g / mol and 1, 80.
and available from Sigma Aldrich. The molar amount of unit derived from butadiene equivalent to the amount of CDT introduced was 16.2 mmol. The ratio r of the reactants, as defined above, is equal to 0.27 mmol divided by 16.2 + 5.4 mmol, or 0.0125. After 8 h after addition of the catalyst, the product in the flask is extracted after evaporation of the solvent in vacuo. The product is then recovered as a liquid at room temperature, after precipitation in methanol, filtration and drying at 20 ° C under vacuum with a 90% yield. 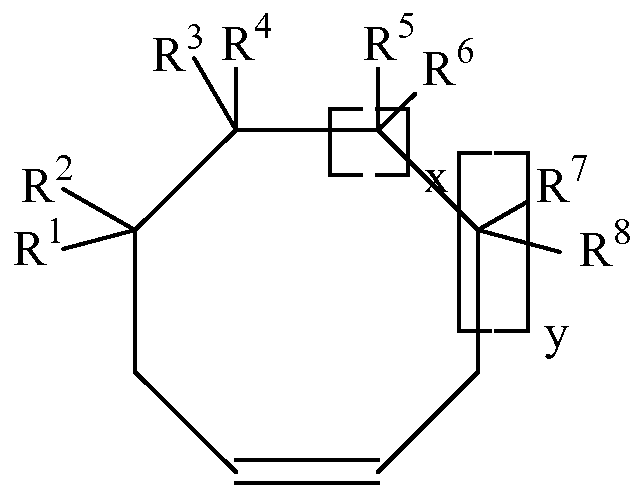 This structure is well covered by the formula (III) defined above. The average molecular weight Mn and polydispersity index are, respectively, 5,400 g / mol and 1, 60.
and available from Sigma Aldrich. 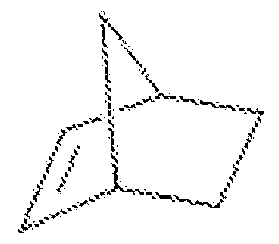 The average molecular weight Mn and polydispersity index are, respectively, 6,600 g / mol and 1, 80.
which is well covered by the formula (III) defined above. The average molecular weight Mn and polydispersity index are, respectively, 6,600 g / mol and 1, 70. 1 H NMR (CDCl, 500 MHz, 298 K): δ (ppm) repeating unit 1, 24 (1 H * n), 1 .59 (1 H * n), 2.07 (4H n *), 2 , 26 (n * 2H), 2.62 (1 H * n), 2.85 (2H * n), 3.24 (1 H * n), 5.36-5,68 (4H * n), end group = 1, 78 (4H, m, = CH-CH 2 -Si), 3.57 (18H, s, CH 3 -Si-O-).13 C NMR (CDCl, 100 MHz, 298 K): δ (ppm) repeating unit 27.42, 33.10, 35.12, 38.00, 42.34, 45.98, 47.06, 55.40, 130.48, group terminal = 14.03 (= CH-CH 2 -S \ -), 54.39 (-Si-O-CH 3), 130.45 (CH = CH-CH 2 -Si), 135.16 ( -CH = CH-CH 2 -Si-). The average molecular weight Mn and polydispersity index are, respectively, 6,200 g / mol and 2.00. Raw materials (including 5,6-époxycyclooctène), reagents and solvents used in the syntheses are commercial products of Sigma Aldrich. Reference is made for further details to the publication of A. Diallo et al. (Polymer Chemistry, Vol. 5, Issue 7, April 7, 2014, pp 2583-2591) or the reference Kobayashi et al J. Am. Chem. Soc. 201 1, 133, pp 5794-5797). 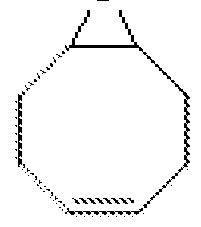 Repeating Example 4 by replacing the norbornene with 5-n-hexyl-cyclooctene. Is also obtained a liquid copolymer at ambient temperature, of which the NMR analysis gave the following values: 1 H NMR (CDCl, 500 MHz, 298 K): δ (ppm) repeating unit 0.83 (3H * n), 1. 27 (16H * n), 2.07 (4H * n), 2.17 (5H * n), 5.37 (2H * n), end group = 1, 78 (4H, m, = CH-CH 2 -Si -), 3.57 (18H, s, -Si-O-CH 3). 13 C NMR (CDCl, 100 MHz, 298 K): δ (ppm) repeating unit 14.1, 22.7, 27.4, 29.6, 31 .8, 32.37, 33.10, 33.8, 40.65, 130.48, end group = 14.03 (= CH-CH 2 -Si), 54.39 (S \ -0-CH 3), 130.45 (CH = CH-CH 2 -Si), 135.16 (-CH = CH-CH 2 -Si -). which is well covered by the formula (II) defined above. The average molecular weight Mn and polydispersity index are, respectively, 7,400 g / mol and 1, 80. Was repeated Example 1, replacing the 10.8 mmol of COD by a mixture of 3.6 mmol of CDT, 3.6 mmol of cyclooctene and 3.6 mmol of norbornene. The molar amount of unit derived from butadiene equivalent to the amount of CDT introduced was 10.8 mmol. The ratio r of the reactants, as defined above, is equal to 0.27 mmol divided by 10.8 + 3.6 + 3.6, 0.015. 1 H NMR (CDCl, 500 MHz, 298 K): δ (ppm) repeating unit trans: 1 .08 (2H * n), 1, 26 (8H * n), 1 .39 (4H n *), 2 00 (4H * n), 2.07 (4H * n), 2.47 (2H * n trans), 5.24-5,44 (6H * n trans), cis: 1, 26 (8H * n), 1. 82-1 .91 (6H * n), 2.00 (4H * n), 2.07 (4H * n), 2.82 (2H * n / 's), 5.24-5,44 (6H * n cis) = terminal group 1, 78 (4H, m, = CH-CH 2 -Si), 3.57 (18H, s, -Si-O-CH 3). 13 C NMR (CDCl, 100 MHz, 298 K): δ (ppm) repeating unit 27,42, 28,56, 32, 51, 33.12, 42.10, 43.43, 130.35, 133.12, group terminal = 14.03 (= CH-CH 2 -Si), 54.39 (-S1-O-CH3), 130.45 (CH = CH-CH 2 -Si), 135.16 (-CH = CH-CH 2 - Si-). The average molecular weight Mn and polydispersity index are, respectively, 5,200 g / mol and 1, 90.
commercial polybutadiene is used referred POLYVEST® 130 of molar mass 4600 g / mol. This polybutadiene (0.38 mmol) and dry CH2Cl2 (9 ml) were introduced into a flask of 20 ml in which was also placed a magnetic stirring bar coated with Teflon. The flask and contents are then placed under argon. The molar amount of unit derived from butadiene equivalent to the amount of polybutadiene is fed 32.4 mmol. Then one proceeds to the addition, via cannula, the above-defined catalyst G2 (9.6 μιτιοΙ) dissolved in CH2Cl2 (2 mL). This mixture was heated in an oil bath for 3 hours at 40 ° C under stirring until disappearance of POLYVEST® 130 and forming a mixture of compounds of formula (F) evidenced by size exclusion chromatography. After 8 hours from the introduction of CTA 1, the product in the flask is extracted after evaporation of the solvent in vacuo. This product is then recovered in the form of colorless solid powder after precipitation in methanol, filtration and drying at 20 ° C under vacuum with a 90% yield. This product is identical to that of Example 2. Repeating Example 10 by replacing in step (i) 0.38 mmol of polybutadiene with a mixture of 0.19 mmol of polybutadiene (corresponding to 16.2 mmol of units derived from butadiene) and 5.4 mmol of norbornene . The ratio r of the reactants, as defined above, is equal to 0.27 mmol divided by 16.2 + 5.4 mmol, or 0.0125. After 8 h after the addition of CTA1, the product in the flask is extracted after evaporation of the solvent in vacuo. The product is then recovered as a liquid at room temperature, after precipitation in methanol, filtration and drying at 20 ° C under vacuum with a 90% yield. 1 3 C NMR (CDCl, 100 MHz, 298 K): δ (ppm) 27.42, 33.12, 42.10, 43.43, 130.35, 133.12, end group = 14.03 (= CH- CH 2 -Si), 54.39 (-S1-O-CH3), 130.45 (CH = CH-CH 2 -Si), 135.16 (-CH = CH-CH 2 -Si-) This product is identical to that of example 4. Is prepared by simply mixing an adhesive composition consisting of 0.2% by weight of a curing catalyst consisting of dioctyl tin dineodecanoate (product KAT® TIB 223 of the company TIB Chemicals) and 99.8% polymer according to the invention obtained in example 1. 2000 Pa) for 15 minutes and then conditioned in an aluminum cartridge. Measuring the strength and elongation at break by tensile test is performed according to the protocol described below. - recording, when the rupture of the test piece occurs, the applied tensile stress (in MPa) and the elongation of the specimen (expressed in%). The standard test is dumbbell-shaped, as illustrated in the international standard ISO 37. The narrow part of the dumbbell used has length 20 mm to 4 mm width and thickness to 500 μιτι. To prepare the dumbbell, heated to 100 ° C the composition packaged as described above, then extruded on a A4 sheet of silicone paper the amount necessary to form thereon a film having a thickness of 300 μιτι which is left during 7 days at 23 ° C and 50% relative humidity for curing. The barbell is then obtained by simply cutting into the crosslinked film. Is thus measured for said adhesive composition a stress at break of greater than 0.7 MPa and an elongation at break greater than 200%. Said adhesive composition is also subjected to bonding tests of two wooden slats (each of size 20 mm x 20 mm x 2 mm) to yield, after crosslinking of seven days at 23 ° C and forming an adhesive joint 1 mm thick on a surface of 12.5 mm X 20 mm at a stress at break of greater than 2 MPa in adhesive failure. - n1, n2, m, p1 and p2 being further such that the average molecular mass Mn of the polymer of formula (I) is within a range from 400 to 100 000 g / mol and its polydispersity index is understood in a range from 1, 0 to 3.0. - z is an integer equal to 1 or 2. - when m is not zero, that the sum n1 + n2 is not zero and at least one of R 1, R 2, R 3, R 4, R 5, R 6, R 7 and R 8 is other that a hydrogen atom, then the ratio (m + n1 + n2) / (p1 + p2 + n1 + n2 + m) is in the range of 30 to 70%. - (CH 2) di-SiR t (OR ') 3-t, then g1 = d1 = 1. 8. hydrocarbon polymer according to one of claims 1 to 6, characterized in that when F1 is (R'O) 3-tRtSi-R "-OOC- (CH 2) G2- and F 2 is: - (CH 2 ) d2-COO-R "-SiRt (OR ') 3 -TJ then g2 = d2 = 0. 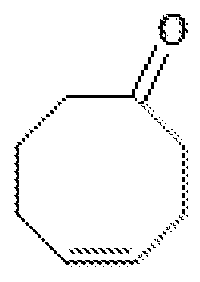 - optionally, a compound of formula (E) as defined in claim 9; then (ii) a step of polymerizing said (co) cyclic oligobutadiène of formula (F) by ring opening in the presence of a metathesis catalyst, a transfer agent (CTA) of formula (B) as defined in claim 9, for a period ranging from 2-24 hours and at a temperature in a range of 20 to 60 ° C.
12. Preparation process according to claim 1 1, characterized in that the polybutadiene chain implemented in step (i) comprises less than 5 mol% of vinyl-one repeating unit, 2, said percentage being on based on total number of moles of constituent units of the chain. 13. A method of preparation according to one of claims 1 1 or 12, characterized in that the polybutadiene chain implemented in step (i) comprises from 50 to 98 mol% of cis-1 units, 4 and most 48 mol% of trans-1 units, 4, said percentages being based on the total moles of constituent units of the chain. - the effective contacting of the two substrates according to their tangency surface. ES2209185T3 (en) 2004-06-16 Ruthenium and osmium catalysts.